Pokémon GO has finally landed on Bolehland and I’m sure by now you’ve seen groups of people congregating at strange places, and staring intently at their smartphone screen last weekend. Whether you are on the bandwagon or not, you can’t deny that this craze has taken over the country (and world). While Pokémon GO players are out there trying to catch ‘em all, businesses should join in the fun to catch ‘em all too – ‘em being the potential customers. One thing good about being in Malaysia is that we’ve seen or read about the phenomenon elsewhere so we’ve had more than enough time to come up with ways to leverage on the trend. First of all, you need to understand what the game is about to better understand your customers. Install the game on your phone and give it go and read up about it online to find out how the game works and also to see if your business is near a PokéStop. Even if you do not have a business, you can start thinking of ways to leverage on the trend to earn some extra cash. For example, printing Pokemon graphic T-shirts to be sold online, or selling made-to-order Pokemon cupcakes for birthday parties or just a Pokemon GO get-together. People cashed in hard on Angry Bird’s merchandise, no reason not to do the same for Pokémon! If you are also a fellow trainer, you would have heard of this feature called a lure module. It’s an item that can attract wild Pokémon to a PokéStop, and it works for 30 minutes. If your business is a PokéStop or near one, you can set up a lure to attract other players to the area. You will get a free lure module when you reach level 8, 10, 15, 20, 25, 30, 35 and 40. However, if you would like to get started before you reach level 8, you can purchase it at the shop in the game. It costs RM3.99 for a lure module, but you can get it cheaper if you purchase more coins/modules. As it only lasts 30 minutes, use your module sparingly and at a strategic time. Weekends and weeknights would probably be good to use them as there are more players out and about at these times. 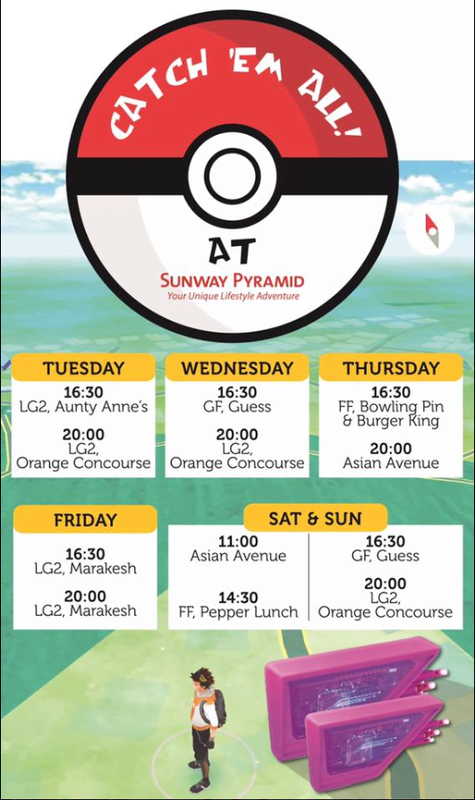 Sunway Pyramid’s sets up lure modules at selected time and day, then announces the schedule to lure in more shoppers to the mall. If you are not up to playing the game, you can still encourage players to come to your area by offering incentive to players who set up their lures at the PokéStop near your establishment. When you get a steady group of potential customers congregating at your location, attract them to your shop by offering some themed-specials. This works especially well for F&B outlets. 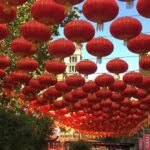 So far, we haven’t seen any Malaysian cafes or restaurants doing it yet, but it won’t be long before they catch on to the craze. 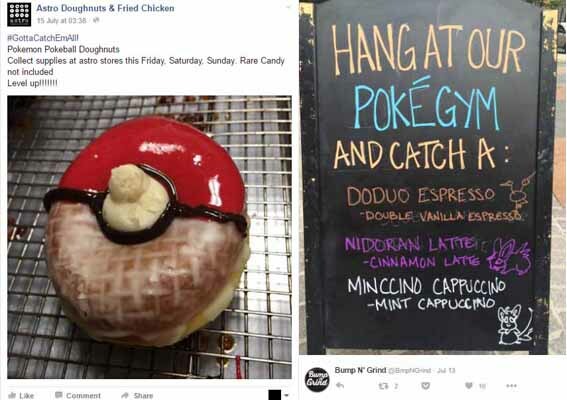 If you know of any cafes or restaurants offering Pokémon-themed food or drinks, please let us know at the comment section below. Grab Malaysia and Hotlink have also teamed up to offer free rides to the nearest PokéStops. They are four PokéMobiles available for this campaign, where the cars are decorated with wings and the tail of the fire Pokémon, Charizard. 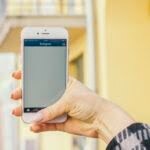 Of course, what Grab and Hotlink are doing requires high marketing budget, but as a small-time business owners, there are many creative ways you can capitalising on the augmented reality (AR) game’s popularity. 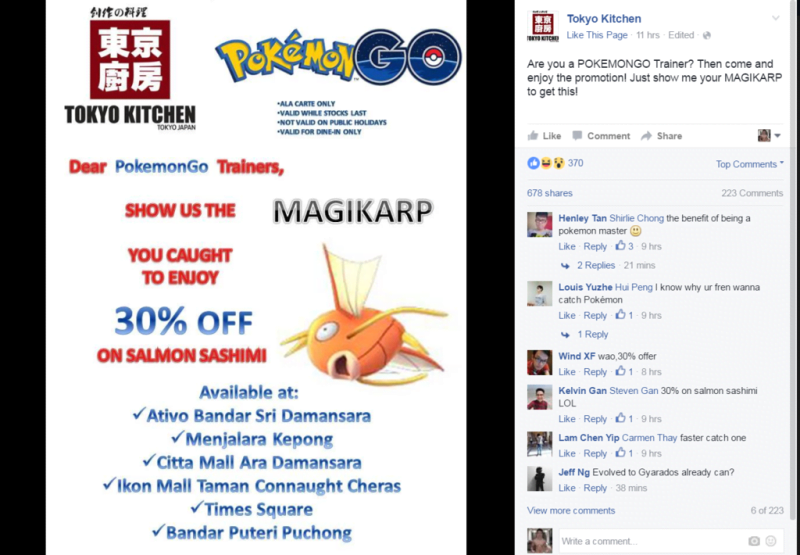 You can also do what Tokyo Kitchen is doing by offering a special discount to Pokémon trainers who caught a relevant Pokémon — in this case, a Magikarp! One of the concerns brought up by many game review sites is the battery usage of the AR game. Since the game was launched in the US, sales of battery packs a.k.a. power banks, have increased by 101%! As Pokémon GO uses the GPS, camera, screen and all the other sensors continuously, smartphones tend to lose battery quickly. If you are in an area where many Pokémon trainers go on their hunt, you can set up a charging station in your establishment. This will make your business a haven to these players, whose phones are running low on juice. In Australia, Virgin Mobile provide free mobile phone charging at all of its retail stores and kiosks to “gamers on the Go”. For electronic or mobile shops, this will give you a chance to move those power banks with the right promotion or package deal! Many would consider Pokémon GO a phenomenon, but life goes on. Students will still have to go for classes, while adults will have to go to work (who’s going to pay for the phone bill?). If you are a die-hard Pokémon fans, you won’t let these things get in the way of your hunt. Even if it means staying out late, or traipsing around town every weekend to look for that rare Pokémon. To cater to this crowd, food businesses can consider extending their operation hours. Pokémon hunting can leave the players thirsty or famished, and having a convenient place for like-minded people (Pokémon GO players) is much needed in these times. The best way to get this group of people attached to their mobile phones is to attract them through the phone. Use your Facebook, Twitter or Instagram accounts to attract Pokémon trainers to your location by making announcements on your social media accounts on how many PokéStops and Gyms are nearby, and retweet or share any screenshots shared by Pokémon hunters near your area. If you spot a wild Charizard nearby be sure to announce that too! As this craze heats up in Malaysia, being part of the community will do you and your brand good. 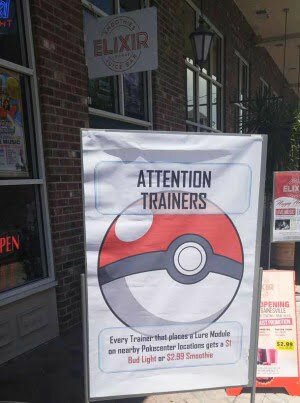 If your business is seen as being in the game, your brand could be at the top of their mind every time they are in your area to catch some Pokémons. This will also help you establish yourself, and also increase engagement with your customers online. 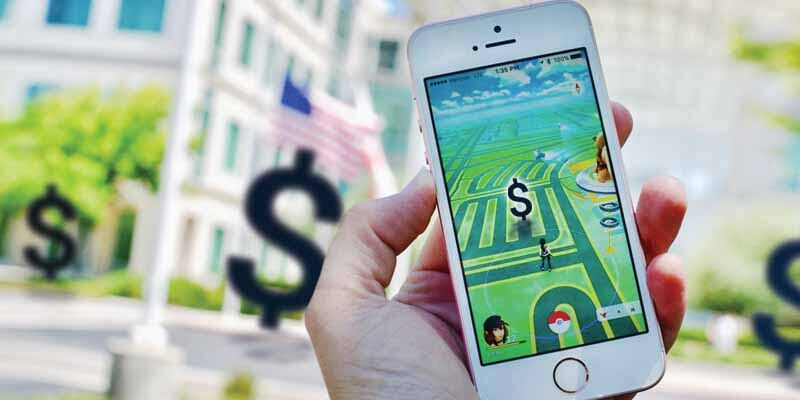 Although businesses prioritise their profit the most, Pokémon GO offers a common ground for many businesses to reach out to their customers. The level of engagement between businesses and consumers can be increased easily with the right message and strategy. The best way to do that is be part of the community, one of the hallmarks of the game. This will allow greater personal engagement with your existing and potential customers. The more your business is connected to the game and its players, the more likely you are to profit from the game. So, have you seen any cool Pokémon GO promotions? Share it with us in the comment section below!